The big game is on Monday night as the Michigan Wolverines and the Villanova Wildcats tip-off to see who will be the men’s NCAA college basketball champion. Many people will be placing a big bet on this game as it is the last game of the season and the biggest game of the season. Before the experts make their predictions and after they have seen the opening odds by the best sportsbooks, they need to check out the Michigan vs Villanova betting trends. Do basketball betting trends work? It depends who you talk to, but I believe that they do. 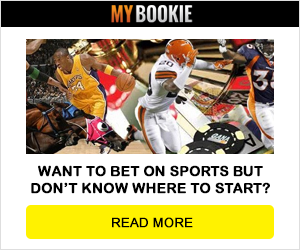 They often reveal situations that the novice bettor may not have noticed and this could be the difference in winning or losing. The smart sports bettor will never use betting trends by themselves, but they always take a peek to see which ones stand out above the rest. The Michigan vs Villanova betting trends for the Wildcats reveal a few things. First, as we already knew, the Wildcats are hot. They have covered every game in the NCAA Tournament and come into the championship game on a 5-0 against the spread (ATS) run. In fact they have been hot all season as they are 25-10 ATS in the last 35 games overall. This includes a 10-1 ATS record in the last 11 games against the Big Ten conference. The Michigan vs Villanova betting trends also show that the Wolverines are on a good run this season as well. The Wolverines are 7-2-1 ATS in their last 10 non-conference games, 18-6-2 ATS in their last 26 games against a team with a winning straight up record and 35-16-3 ATS in their last 54 games overall. They are also 36-17-4 ATS in their last 57 neutral site games and if they have one negative betting trend against them, it is the fact that they are 1-4 ATS in the last five Monday night games. When looking at Michigan vs Villanova betting trends, it is up to the handicapper to find the trend that they believe fits the best and could provide big winners.